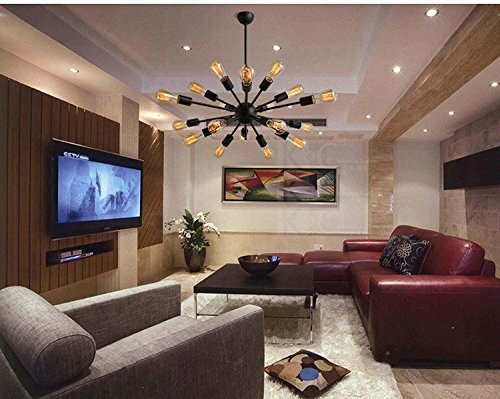 We use EMS,UPS,EUB, DHL express service, after we deliver goods, usually shipping time is 8-20 days.Professional lighting manufacturer,High quality,2 years guarantee. 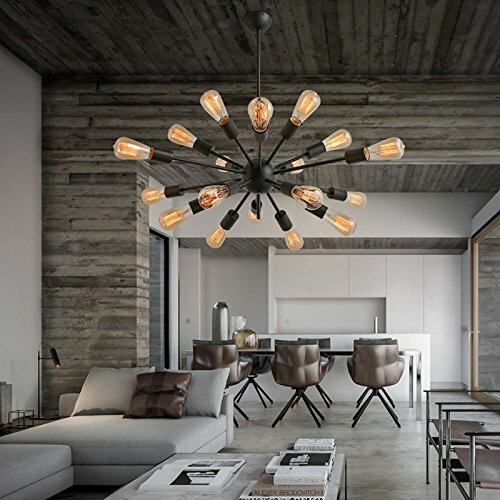 Style:Retro,Antique,Industrial,Cottage,Large.Instal It Yourself. 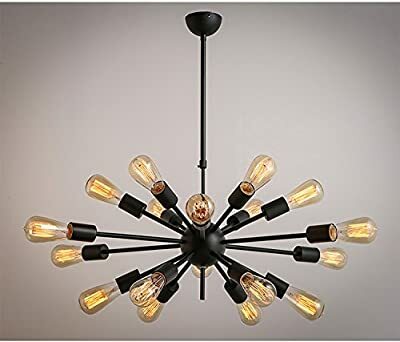 Voltage:120V to 220V ,Power: max 40W x 18(bulbs not included Product Dimensions:25.98x35.43x35.43inch.The length of vertical hanging beam is 18.5inch,it can adjustable according to your request.Suggested Space Size:50-100Sq.m.It's the perfect light fixture to install in dining room,kitchen,hallway,foyers and more.